You will be given a reference e-book to read which has 400 pages And the test will be based on that e-book , you can take final test within 1 year of purchase. Supply chain management is the position of responsibility in which one or many professionals must allocate, regulate and plan the flow of supplies for various objects or processes in an industrial environment. This may be for a specific supply chain provider, or for managing the goods and resources that come from a supply chain provider. Like many project management positions, this is a line of work that has heavy responsibility, both mathematically, logistically and sociologically. With that in mind, this line of work takes a specific mindset in order for someone to perform it reliably. This can be a rewarding job, for those who enjoy mathematics, logistics and social interaction, but one who cannot work under Rusher probably shouldn't pursue it. Many companies are rather picky when choosing individuals responsible for this line of work, as it is extremely crucial for the completion of projects and stable business processes. Considering this, people who wish to enter this field most likely need a supply chain project management certification in order to enter the field. In order to obtain a supply chain project management certification, one must complete a sub wide chain project management course. There are several venues through which one can acquire this certification, but the best option is probably online certification. Online certification is the most convenient, cost effective option for busy adults. Eliminating costly tuition, and heavy class schedules, online certification allows an adult student to learn and study at their leisure. This prevents classes from interfering with their existing professional or personal responsibilities and private lives. 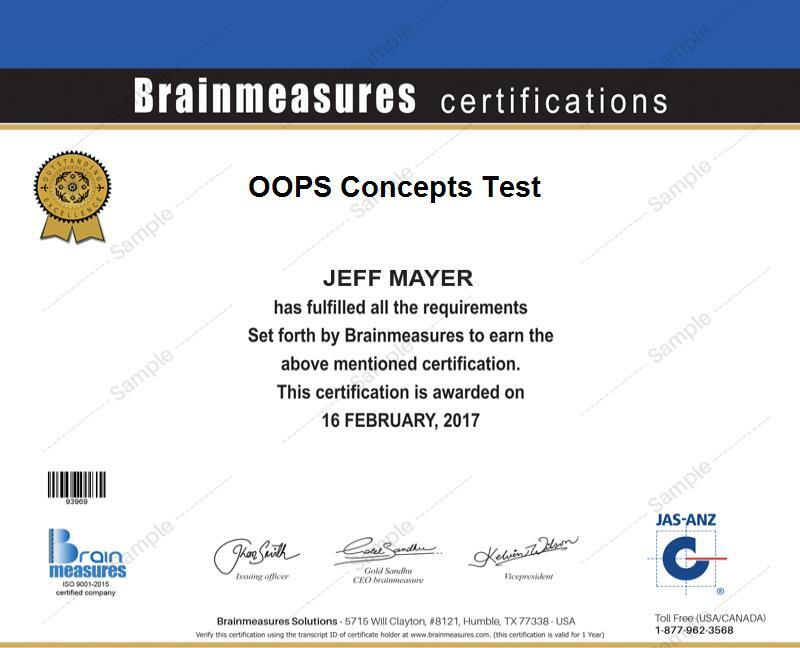 Brainmeasures is at the top of its class in online certification. This is because we have a neat and holistic philosophy for how education should work. We work closely with experienced experts in all fields we teach, drawing not only on their knowledge, but also their years of experience. We take this experience, and we represent it through examples in our courses. This allows a student who certifies through our certification system to have not only a clear and definite understanding of the information, but also experience starting out, which otherwise they would have. This certification consists of the supply chain project management course, followed by a supply chain management exam. Upon completion of the supply chain management exam, a skill certificate is awarded which signifies a completed certification. This course is designed so that anyone with ambition and passion can successfully complete it. However, it does go without saying that only those with the right mindset, and the proper interests in the field can truly execute this line of work at a particularly high quality. Although salary can vary from company to company, and from field to field, many professionals in these various occupation, equipped with a project management certification of this magnitude, can earn between $120,000-$571,000 a year.